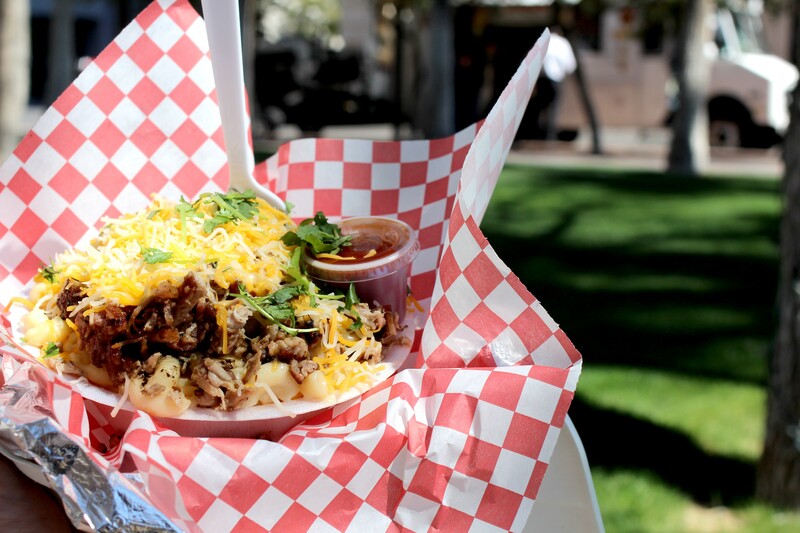 Trucks, stands, carts and stalls—Tucson loves its food on the go. Whether that means chowing down at your favorite fusion food truck outside of a local brewery, stopping on the side of the road for a few street tacos or sampling the wares from the folks set up between farmers and vendors at local markets, there's plenty to try outside of the typical brick and mortar domain. 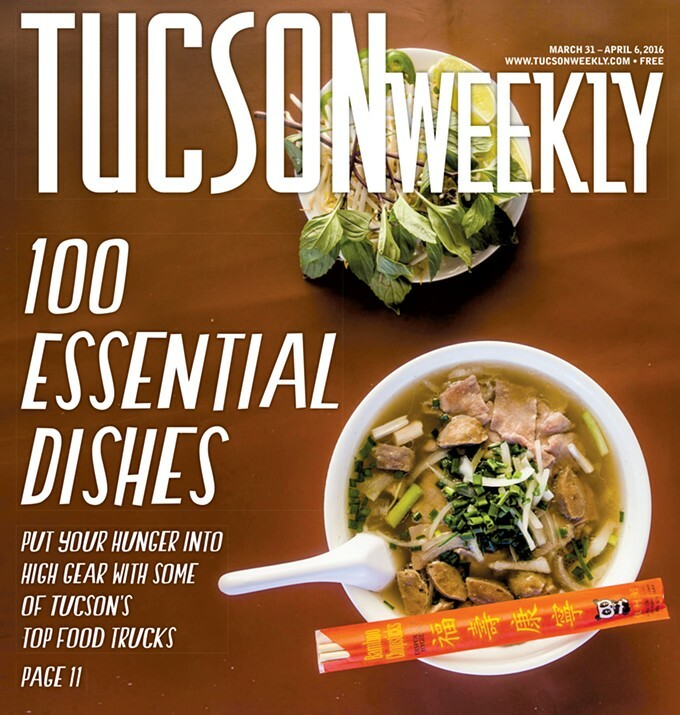 So, hop on your social media of choice and start tracking down some of the Old Pueblo's best eats. Though, be warned, finding some of these may require some truck tracking of your own. Happy hunting! A firey grill and a lit up truck stand in front of a dulceria. Inside you'll find brightly colored, handmade piñatas and sweets during the day, but at night, it's taco time. This truck has a throng of devotees, and for good reason. 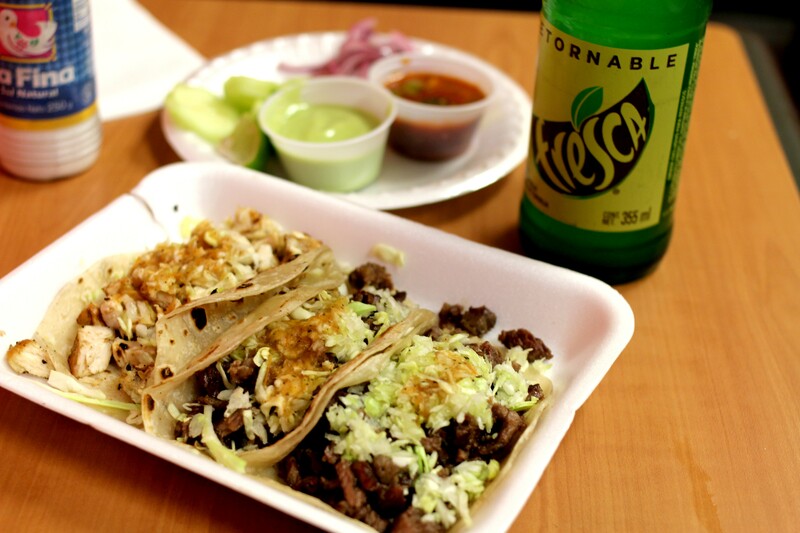 Everything from the salsa to the tortillas to the freshly grilled meats are on point. With the hass taco, you'll get the juicy carne asada with roasted green chiles and cheese for a spicy, satisfying street taco experience. 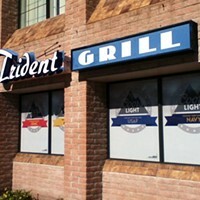 Sets up: Nights at 3749 E. Grant Rd. Nhu Lan’s owner Nghia Tran dishes up pho dac biet. When it comes to pho worship, broth is the key to enlightenment. 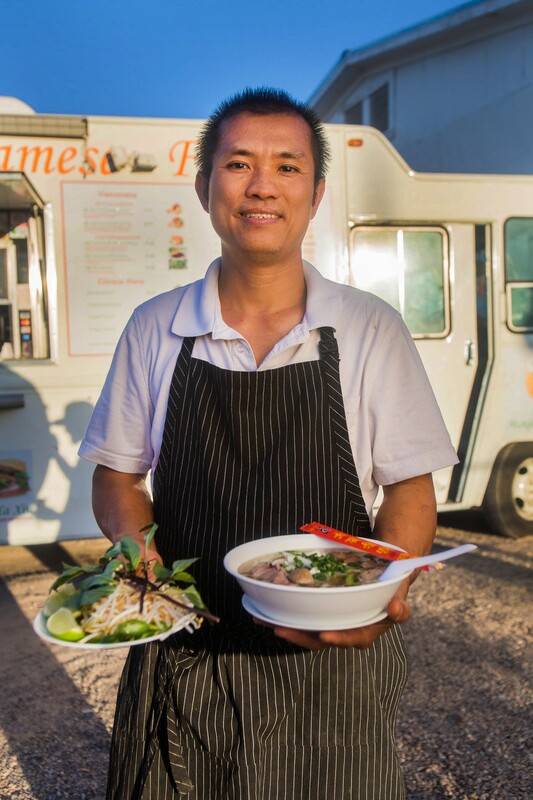 Because of this, Nhu Lan stands out, not only in the food truck category, but the pho category as well. Rich, flavorful broth lets each of its spices shine—from the star anise to the clove and more. You really can taste each element, resulting in an intense and unique experience. From there, rice noodles, beef, tripe and more make this pho fully irresistible. When indecision sets in mid-food truck line, DC Jumbie has you covered with their little bit of everything option. Juicy grilled chicken, roasted pork, caramelized plantains and rice with pigeon peas will have you diving in bite after bite. 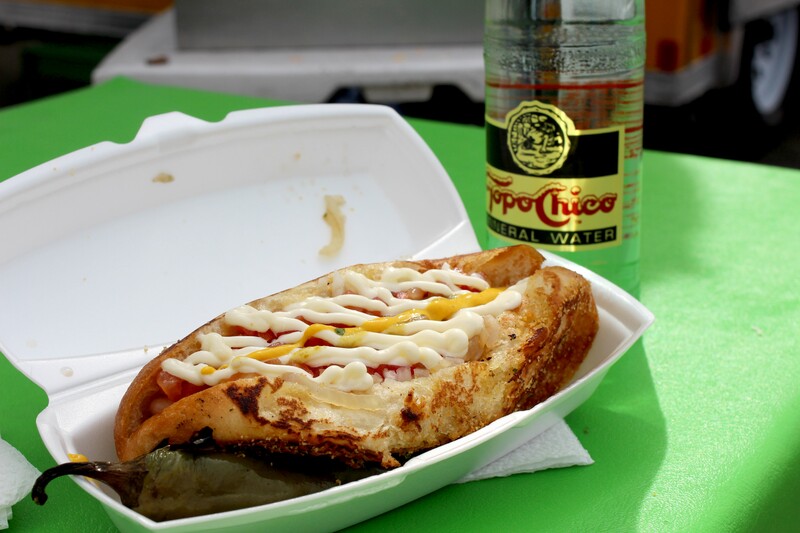 Oh, you love Sonoran dogs? That's cute. Probably because you haven't started getting down on Super Chipilones yet. Essentially the insides are the same, down to the bacon wrapped dog, but the key difference is a garlic powder coated, grilled bun. Once you Chipilon, you never go back. A heap of tender, marinated pork crammed inside of a crispy, crunchy, freshly fried masa pocket done in traditional Venezuelan style—what more do you need to know? Top with the special Ricuras de Venezuela chiltepin salsa and you're good to go. Fusion used to be such a dirty word in the food world. It meant something approximating indecision and also, unfortunately, mediocrity. However, times have changed and places like Bam Bam prove that, when done right, fusion can genuinely bind two compatible cuisines together. No place is this more evident than the Korean pork tacos, which meld Korean barbecue with street taco style. Mounds of handmade ramen noodles are perfectly happy being slipped into Fat Noodle's broth, but the squiggly little heaps are much better when formed into a bun and lightly griddled. When that happens, it means those fresh noodles are about to become the truck's signature offering: the ramen burger. Between that ramen bun, you'll find a beef patty, lettuce, tomato, hoisin and spicy mayo. It's pretty simple: roasted corn still on the cob covered in mayo, cotija and chile powder. 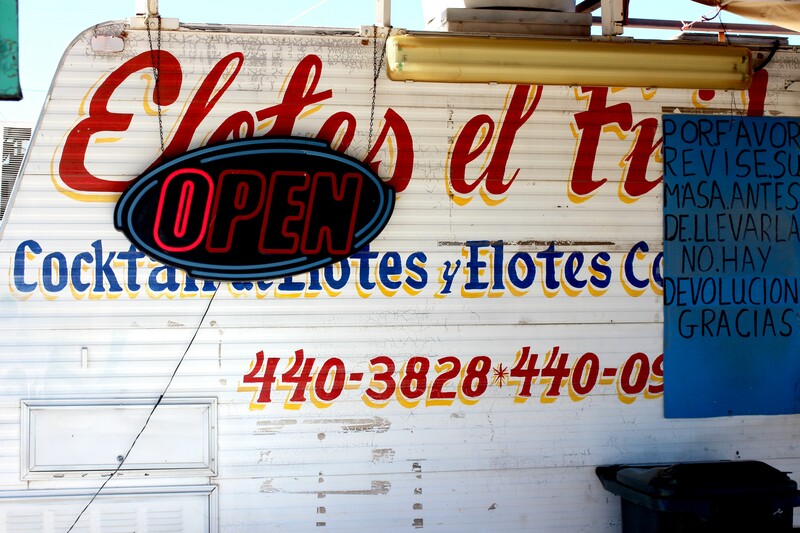 However, when elote cravings come knocking, you'll likely find yourself driving down South 12th to answer the call at Elotes el Frida. With a couple restored vintage trucks, Isabella's made an ice cream fleet armed with one-of-a-kind flavors. The lavender vanilla is subtly floral and richly creamy, keeping you intrigued, while making sure you're still getting what you want out of ice cream. Sets up: Daily inside Rincon Market 2513 E. Sixth St. Planet of the Crepes' stuffed crepe cones come filled with all manner of good things, but the truck struck the perfect balance with one combo: salty ham, gooey cheese, bright tomato and asparagus. All together, they offer a simple, yet classy handheld lunch option. 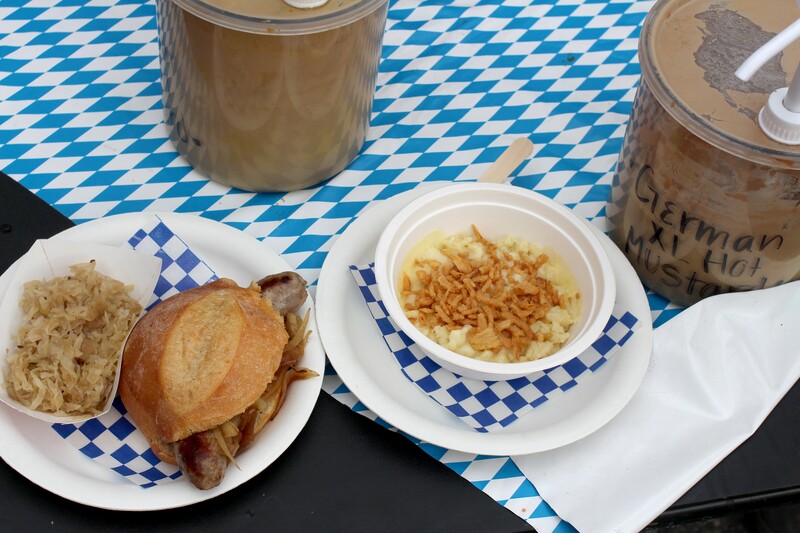 German food is the name of the game at Haus of Brats and, here, the beer-braised pork brat is the best of all. However, no brat would be complete without a healthy dollop of mustard. Luckily, HoB has three to choose from (or you can choose to try all three). There's nothing quite as comforting as a chicken and rice soup, but Don Pedro's version has a twist. In this Peruvian style soup, a herbaceous cilantro-based broth serves as the template, making the soup as bright and fresh as it is homey and delicious. Oh, the hot link. What a brilliant way to take the classic hot dog to the next level. Over at You Sly Dog, you can get the spicy hot frank topped with red onion, ketchup (yeah, I know), mustard and jalapeno salsa. Just be sure to have something handy to wash all that heat down with. 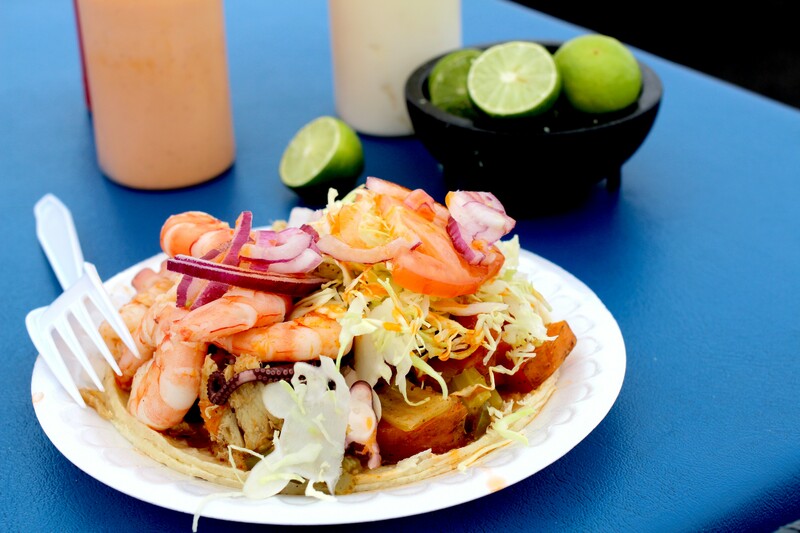 If you have any reservations about eating seafood from a truck, throw them out your car window on the way to Baja Mar. There you'll find a generous portion of marinated shrimp, tender octopus and juicy manta piled high on two corn tortillas. The taco bears the truck's name for a reason—it's next level stuff. You're going to want to grab a friend to get down on this hearty BBQ masterpiece. Creamy mac and cheese is covered in a layer of shredded cheese and cilantro and then topped with smoky barbecue pork and a side of BBQ sauce for dipping—phew, it's almost exhausting just describing it. In a food truck world full of fleshy decadence, it's nice to find a homemade vegetarian slider that competes with the meatier dishes in town. Filled with ricotta cheese and more, the veggie loaf patty will satisfy carnivores and veggie folk alike. Plus, if you want to be really good, you can add a quinoa salad on the side. Just don't forget to top your slider with the housemade spicy duck sauce—it's killer. 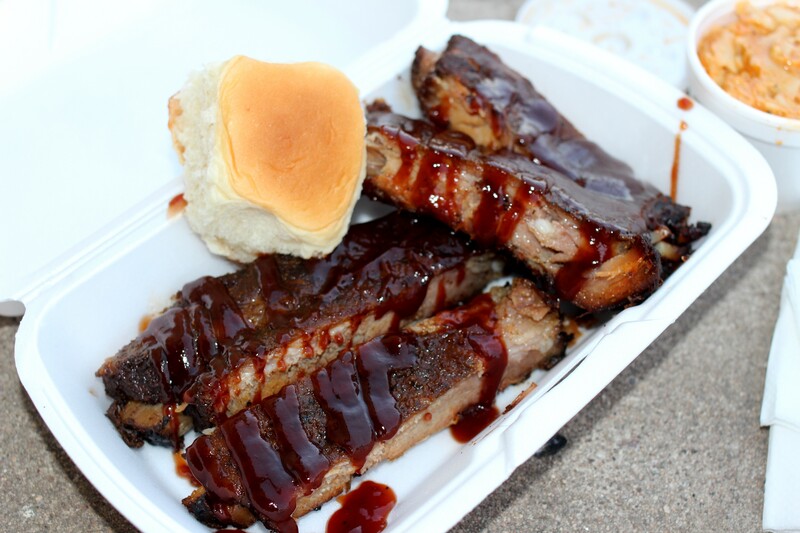 You don't know how much you need a little New Orleans barbecue in your life until you sink your teeth into Mr. Cookman's baby back ribs. Smothered in a peppery, yet richly sweet sauce, the meat just falls right off the bone with a bark that would make any pitmaster proud. Think of Jozarelli's grilled caprese like a grown up grilled cheese. It's packed full of melty mozzarella, fresh tomatoes and basil and griddled, Panini style, between two pieces of herbed foccacia. It's not quite an adult meal, but it's as close as you should be willing to get. Neopolitan pizza is no longer chained to brick and mortar restaurants. In fact, the folks of Fiamme can take their wood-fired pizza-making altar anywhere they please. 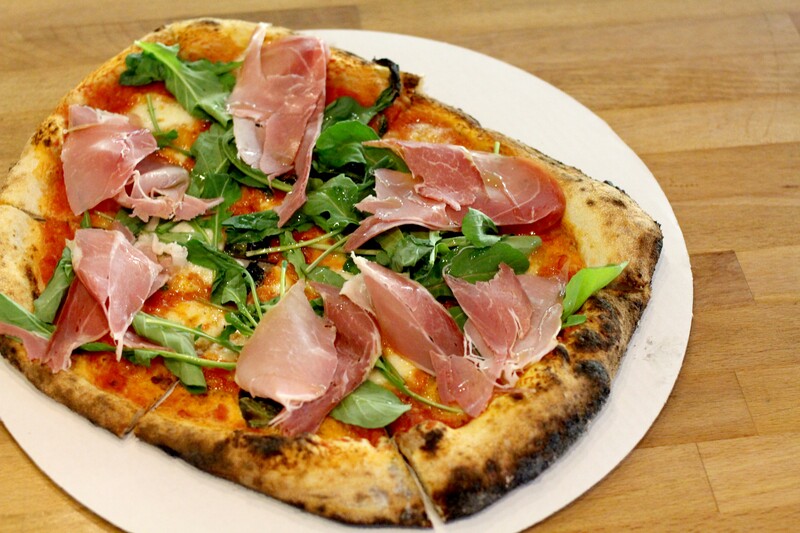 While they offer several topping options, reading the words "prosciutto" and "arugula" should be enough to register the word "sold" in your mind. Chicago has its Italian beef and Philly has its cheesesteaks, but New Jersey has its own thing and that thing is the pork roll. Using Taylor pork roll, which is kind of like if bacon and ham had a baby, Big Bad Wolf sandwiches the traditional sliced meat between an onion roll, accompanied with a fried egg, ketchup and gooey American cheese. There might be no better fish taco in the state of Arizona than the humble $3 fish taco you'll find at Taco Fish on Grant and Sixth avenues. That's mainly due to the fact that the folks who run the fishy fryer are insanely talented at getting each piece perfectly golden brown and crispy with tender, flaky fish in the middle. You know what's really cool? Authentic Cajun eats off of a food truck, so you know now why Cool Cajun Café isn't a misnomer. One bite into their crunchy fried catfish po'boy and you'll swear you're back in the bayou—you know, without any of the humidity. Now, it's important to remain calm amidst all of this Meatball Madness, so calmly wait your turn in line and order up a meatball sub the likes of which you've never experienced before. Try it out Chicago-style with mustard, relish, pepperoncini, tomato and celery salt for an extra $1. It doesn't take a rocket scientist or even a churrologist to see why making cinnamon-sugar-topped spirals of fried dough into a bun that then surrounds a scoop of ice cream is a good idea, but the folks at Just Churros really are geniuses for sorting out this one. Everything you love about a burger can and should be crammed into a tortilla and made into a burrito—at least, that's what the Burgerrito crew thinks. And you know what? They're absolutely right. Get yourself a Burgerrito and get hooked.